· The Science and Industry user interface is completely rebuilt and made much more user friendly. · Refining, reprocessing and compressing are made more meaningful and intuitive. Skill matters! · All industry slots will be removed including NPC stations, outposts or POS arrays. · The more jobs are installed in a specific star system, the more expensive it will become to install additional jobs. Centralization costs. · NPC teams can be hired to give benefits to whole star systems, this will benefit everyone. Centralization helps. · Material and Time Efficiency levels on blueprints will change and be capped to ME 10 and TE 20 with each level giving a fixed benefit of 1% point. Additionally all static blueprint data, such as copy and research times, will be streamlined and adjusted. · Industry related POS structures will give you benefits, the more structures you have, the more you benefit (until an upper level). · Moon mining available in 0.4 security space. I have indeed checked out the changes on Sisi today and here are a few screenshots to show you what changed. First of all planetary colonies are no longer under the industry tab, but in the business menu. 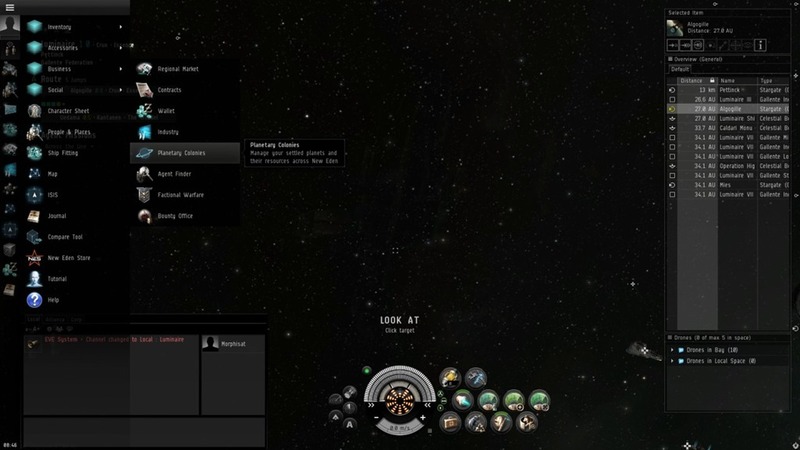 CCP has sent out a press release today about the upcoming expansion ‘Incursion’. You can find it here. 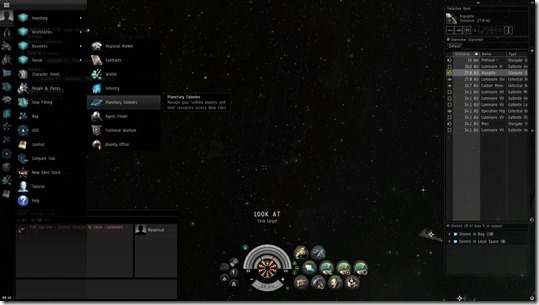 – Sansha’s invasions, which seem to be some sort of public quest. Along with that special rewards, wealthy bounties, earning loyalty rewards and high commendation as the press release put it. Rather vague but it sounds interesting. – Improvements the CSM came up with. Not quite sure what this will be, but we’ll see. (Update: there is a devblog about these). – Improvements to EveGate, forums and such. Any improvement is welcome, and forums are nice to have for newer corporations that don’t have their own yet. This makes me wonder why EveGate can’t be improved gradually. Agile is all about releasing little things a time. And since EveGate doesn’t need a client side update, why not improve it gradually. It doesn’t make sense that it’s being improved on the same pace as expansions are released. – New character avatar builder. Don’t really care about this. – Improvements to PI. Too little, too late I am afraid. My planets have been withering away since two weeks after the expansion. Way too much clicking for very little reward. Maybe this will be reduced, but I have pretty much already lost interest in PI. All in all, the pve part sounds interesting, and that’s about it. Nothing to get really excited about, but it’s always nice to have more PVE stuff to do.